Conveniently located in the centre of Cornwall just off the A30 we are ideally situated to cover the whole of Cornwall and being just metres away from the A30 we have the ability to reach Devon and beyond with ease. 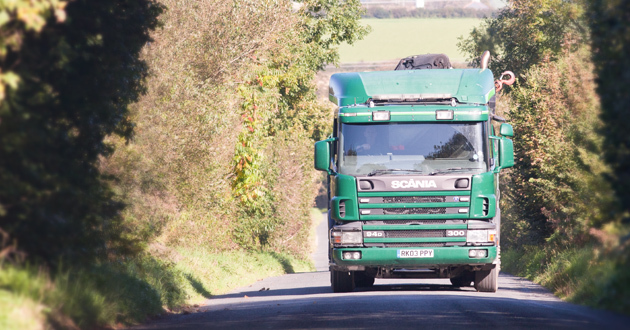 Withiel Commercials Haulage has been grown over more than 30 years by Mark Garratt during which time he has covered a vast amount of the South West with Varying loads. In 2009 Mark was joined by Ross Tregunna who brought a fresh drive to the business and together they have grown the Haulage business to provide a variety of services with a range of vehicles suitable for a vast range of Haulage requirements. They have also expanded into the popular growing area of Containers, providing a wide range of Shipping Containers for sale and are able to offer various containers from Storage and offices to Canteens, Toilets and more for Hire, and with our fleet of lorries and various lifting equipment we are able to provide delivery of containers as part of the package. Give us a call or email for a quote on your Haulage and Container requirements.